(Bloomberg) -- Venture capitalist Tim Draper is planning to meet with Facebook Inc. to discuss investing in the social network’s cryptocurrency project. 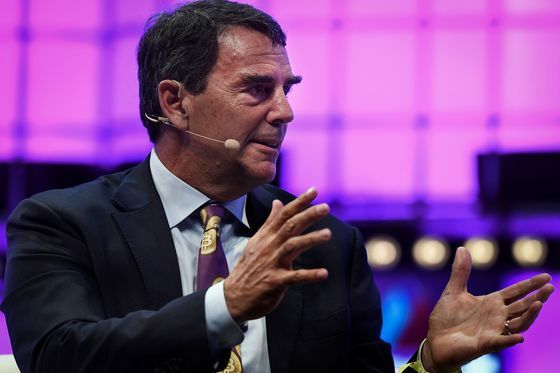 Draper, 60, isn’t the only one meeting with the social network as it seeks to raise as much as $1 billion for the initiative, which wants to create a digital coin to be used within one of its apps. Hedge funds, venture capitalists and other wealthy individuals are also likely to invest. The news of the fundraising was first reported by the New York Times. Facebook is working to create its own stablecoin -- a digital coin whose value will be pegged to the U.S. dollar or a basket of currencies to minimize volatility -- to let users transfer money on its WhatsApp messaging app, focusing first on remittances in India, Bloomberg reported in December. Facebook is still far from releasing the coin, as it’s still trying to work out how to safeguard the digital assets or regular currencies that would be held to protect the value of the stablecoin, people familiar with the matter told Bloomberg. Facebook has been expected to make a move in financial services since hiring former PayPal president David Marcus to run its Messenger app in 2014. Last May, Marcus headed the company’s blockchain initiatives, and the company has been on a hiring spree for his blockchain group. Draper has been among the first venture capitalists in Silicon Valley to see the value and promise in Bitcoin and other digital currencies, as well as the underlying technology, blockchain, which can allow for secure transfer of money without use of intermediaries. Over the years, he has bought up large swaths of Bitcoins at government auctions, and invested in key cryptocurrency-related companies such as Bancor and Coinbase. His son Adam Draper has invested in a slew of blockchain-related companies as well, and many other venture capitalists seek to mirror his investment strategy.